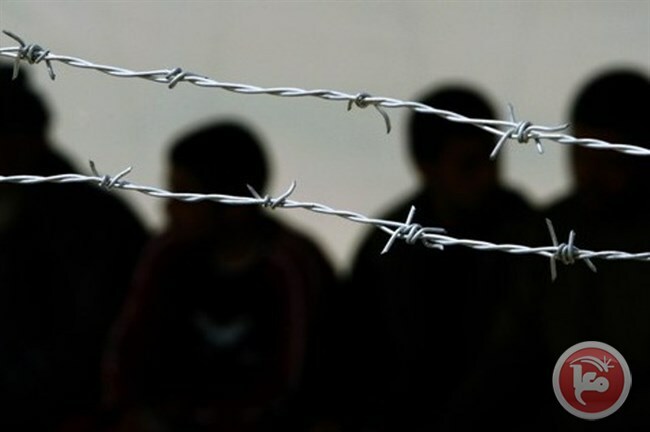 Hundreds of Palestinian refugees from Syria are living difficult lives in Greek refugee camps, an organisation calling itself the Task Group for the Palestinians in Syria said on Friday. In a report, the Task Group said that all the roads between Europe and Greece were closed and this stopped the movement of the Palestinian refugees from Syria, who have arrived in Greece, from moving out of the refugee camps. The Task Group said that the temporary refugee camps lack the basic humanitarian needs required by the refugees. He also said that the camps lack basic hygiene arrangements, noting that the camps consist of tents, where insects and poisonous creatures such as snakes and scorpions also exist. UN estimates said that 450,000 out of 550,000 Palestinian refugees are still in Syria and 95 per cent of them are in dire need for medical aid. Palestinian Authority President Mahmoud Abbas gave a speech to the UN Human Rights Council (UNHRC) this week which provided another example of inflated rhetoric which serves to derail any possibility of liberation. At a time when the two-state imposition is being refuted collectively, Abbas is distancing himself from collective Palestinian expression and aligning himself permanently with colonial intent through generalised statements which are void of meticulous discernment. His speech was published in full by the Palestine Liberation (oh, what irony) Organisation Negotiations Affairs Department. It was another attempt to marginalise Palestine by placing higher value upon international institutions which have, in reality, served to undermine the anti-colonial struggle. “Palestine today is a fact and with deep roots within the international community,” proclaimed Abbas, who may have been referring to the trickle of symbolic recognition, from flags outside the UN headquarters to state recognition and non-binding resolutions. However, his entire speech within the context of “fact” eliminates the importance of Palestinian history and memory in favour of action which is dependent upon legislation drafted primarily to safeguard the echelons of power, after which the same power determines eligibility with regard to human rights. Referring to “fact” also loses effectiveness due to the gap between the Palestinian people and the internationally-recognised leadership which has failed to articulate even a sliver of Palestinian demands away from international impositions. The PA has subjugated Palestinians into a unique and derogatory role. For decades, it has been incumbent upon Palestinians to “prove” to international institutions their disposition towards ambiguous concepts such as “peace”, which has resulted in further demands upon the colonised population in order to appease — and even protect — the coloniser. In this context, Abbas’ demand “for the establishment of an international protection system for the Palestinian people, which will put an end to Israeli violations of Palestinian basic rights” is unfeasible. This is the man, after all, who views PA security collaboration with Israel as “sacred”. In the same vein, the PA leader’s declaration regarding “our readiness and willingness to cooperate with all countries, including the US Administration of President Trump, toward the achievement of peace on the basis of international law and international resolutions” is proof of how Palestinians are tethered to obsolete paradigms, despite their objections. Like the international community, Abbas continues to avail himself of opportunities to limit the applicability of international law when it comes to Palestine, thus negating other legitimate options including resistance, which the two-state illusion prohibits for the sake of safeguarding Israel’s colonial expansion. Similarly, Abbas’ warnings to the international community to avoid “steps that contribute to strengthening the Israeli occupation of the State of Palestine” are also ineffective. This is not a leadership that is speaking on behalf of the people but an entity complicit in sustaining colonialism and military occupation. In particular, demands for a “just and permanent solution”, while desired, are rendered irrelevant due to the entities involved in this hypothesis. The network of international institutions is detrimental, not favourable, to Palestine, precisely due to the duality of available platforms and agendas. Hence, the two-state illusion takes precedence over Palestinian demands as it satisfies the agenda of international institutions while ensuring that Palestine remains an agenda item, instead of a territory and people with legitimate rights for the decolonisation of their land. Rather than exhibiting willingness to “cooperate” with anyone, it is about time that the Palestinian leadership turned inwards to enhance Palestinian visibility and demands; time, indeed, to serve the Palestinian people rather than the international community. The opposition’s High Negotiation Committee said that it was first time the HNC delegation to Geneva talks discussed with the UN envoy to Syria Staffan de Mistura in “an acceptable depth” the issues of the future of Syria, political transition, and other issues set out in the Geneva Communiqué of 2012. The fight against terror requires immense, serious, and coordinated international efforts, Hariri stressed. He added that the Free Syrian Army is the real partner in the fight against all terrorist groups. Hariri said that until the next round of talks in Geneva, the HNC will continue to hold extensive consultations with de Mistura about political transition as this creates the appropriate climate to discuss other issues. GAZA CITY (Ma’an) — Two Palestinian prisoners with Israeli citizenship entered their 25th year in Israeli prisons on Friday and Saturday. Riyad al-Asqar, a researcher for the Palestine Prisoners’ Center for Studies, said that Muhammad Tawfiq Suleiman Jabbarin, 65, from Umm al-Fahm, was detained on March 3, 1992, while prisoner Yahiya Mustafa Muhammad Ighbariya, 48, from the village of al-Mushir was detained on March 4, 1992. Al-Ashqar said that Jabbarin is married and a father of four boys and five girls. One of his children died while in Israeli prison, al-Ashqar noted. At the time, Israeli authorities did not permit him to say goodbye to his son. Jabbarin was sentenced to three life sentences and an additional 15 years in prison after being charged with taking part in an attack which exploded a bus in Israel and killed several passengers. Al-Ashqar added that Ighbariya was also sentenced to three life sentences, and 15 years in prison, after being charged with carrying out an attack on the Gilad military camp, which killed three Israelis and injured four with knives. Ighbariya’s mother, Ruaqayya, died in June 2014 with the hope that her son would be released following Israel’s expected gradual release of prisoners in 2013 who were detained before the establishment of the Oslo peace agreements, as his name was included in a group of prisoners expected to be released following the release of three previous groups of Palestinian prisoners, according to al-Asghar. However, he was never released due to failed negotiations between the Israeli government and the Palestinian Authority (PA). According to the center, 14 Palestinian prisoners with Israeli citizenship have spent more than 20 years in Israeli prisons. Prisoners’ rights group Addameer has reported that, as of January, 6,500 Palestinians were being held in Israeli prisons, including 70 Palestinian prisoners from the Israeli territory. The Israeli Occupation Forces (IOF) prevented over the past week 23 Palestinians from travel via Karama border crossing with Jordan. According to a press release by the Palestinian police on Saturday, those Palestinian citizens have been banned from travel for security reasons, without providing clear explanations. However, nearly 30,000 Palestinian passengers were allowed to travel through the crossing in both directions. Karama crossing also known as the King Hussein Bridge and by Israel as Allenby is a crossing that spans the Jordan River, and connects the West Bank with Jordan. Sheikha Moza bint Naser Al Musnad, mother of the current Qatari Emir Sheikh Tamim bin Hamad Al Thani, has bought a palace that used to belong to ousted Tunisian President Zine El-Abidine Ben Ali in Tunisia, Tunisie-secret.com reported last week. According to the website, Sheikha Moza, the wife of the former Qatari Emir, would secretly visit Tunisia and stay for a while at her new home in the area of Sidi Dharif. The website said that Ben Ali bought the land, where the palace was built, 26 years ago and spent 13 years building it. It is known as the Sidi Dharif Palace. In addition, the website revealed that the Sheikha had bought the palace after it was confiscated in the wake of the Jasmine Revolution in 2011 as it was secretly put up for sale, including its furniture. The Tunisian website said that the palace was sold to the royal Qatari despite suggestions that it ought to be changed into a museum or a cultural centre. The Israeli Supreme Court has rejected a petition by a family of Palestinians to demolish the homes of three Israeli Jewish murderers who murdered their son in 2014, Safa news agency reported on Friday. The Israeli court rejected the demolition of the murderers’ homes, claiming this would not be deterrent under the pretext that “terror is not common among the Jewish communities” at the same scale it is common among the Palestinians. Israeli news websites, according to Safa, reported that the Israeli Supreme Court said it would discuss the issue of demolishing “Jewish terrorists” homes in case such crimes had increased. Three Jewish settlers brutally murdered teen Mohamed Abu Khdeir from Jerusalem in July 2014. They kidnapped him, beat him and then set him on fire while he was still alive. As the Israeli occupation keeps demolishing homes of alleged Palestinian terrorists, the family of the Palestinian teen petitioned for the Israeli court to deal with the Israeli terrorists with the same logic. In July 2015, a group of Israeli Jewish settlers also murdered three Palestinians – two parents and their infant son from the Dawabsha family – when they set their house on fire in the dead of the night. Ali Dawabsha, 9, was the only survivor, who has been living with serious burns all over his body ever since. In both cases, the Israeli authorities claimed that the murderers are minors; however, they were over 18. 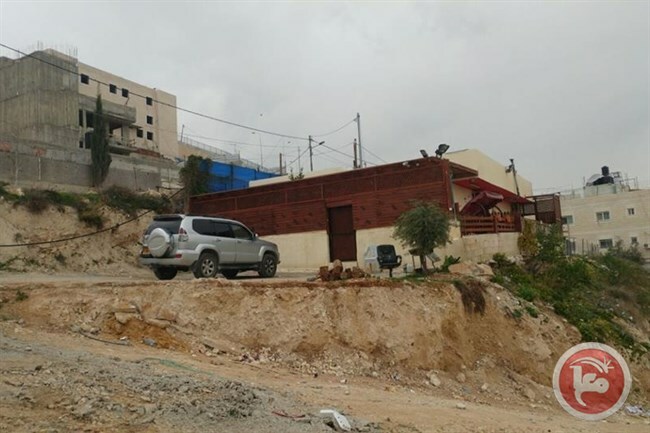 JERUSALEM (Ma’an) — For the past two days, a Palestinian family in the neighborhood of Sur Bahir in the Jerusalem district of the occupied West Bank has been anticipating the worst after the Israeli central court rejected their appeal against a demolition order on their home on Thursday. Ashraf Fawaqa told Ma’an that he had attempted to obtain an Israeli building license for six years following the construction of his home. He had to pay more than 200,000 shekels ($54,102) for various costs associated with postponing and extending Israeli demolition orders during this time, he said. Fawaqa added that the Israeli municipality had decided to carry out the demolition at the start of last month without allowing any more postponements. However, after appealing to the Israeli central court, he was able to extend the demolition until March 2, while paying a postponement fee of 30,000 shekels ($8,115), in addition to court fees. The court, however, rejected the appeal and approved the municipality’s decision to demolish the house on Thursday. Fawaqa said that their lawyer had requested that the demolition be postponed for several months owing to the fact that his wife had just given birth four days ago. The lawyer also presented evidence to the court showing the effort the family had put into obtaining permits for the house. Nonetheless, the judge decided that the family should pay 30,000 shekels ($8,115) in demolition fees for Israeli crews that would carry out the demolition over the coming days. According to Fawaqa, the judge did not provide a specific date. He added that the municipality had also previously imposed a fine on the family of 60,000 shekels ($16,230) which they had already paid. Fawaqa noted that his house was 100 square meters, which six family members currently reside in, including Fawaqa, his wife, and their four children. The oldest child is eight years old, while the youngest is just four days old. A spokesperson for the Jerusalem Municipality was not immediately available for comment. According to UN documentation, 1,601 Palestinian-owned structures were demolished by Israeli authorities in 2016, with more than 168 demolitions being reported in the Palestinian territory since the start of 2017, displacing more than 276 Palestinians in just two months. The Israeli Occupation Forces (IOF) stormed Saturday afternoon Khalet Hamed east of Tubas and arrested a local shepherd and prevented Palestinians’ movement in the area. The PIC correspondent quoted local sources as reporting that dozens of IOF soldiers violently stormed the area and arrested a shepherd. The detainee was investigated for more than three hours on charges of sheep grazing in the area, the sources added. 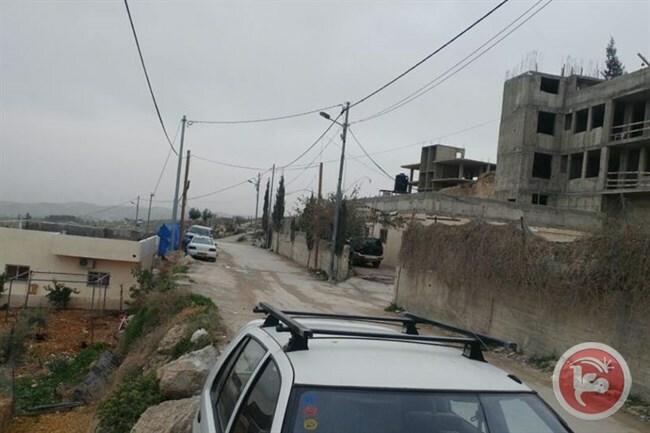 Several months ago, Israeli forces declared Khalet Hamed a closed military zone after Israeli settlers confiscated large parts of it and attacked local residents. Moroccan women only make up a “very modest” ten per cent of entrepreneurs in the country, a minister for women said today.